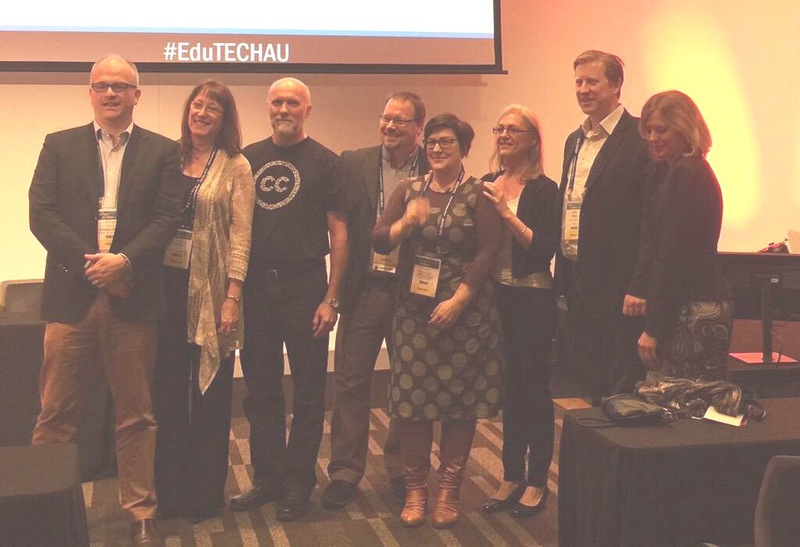 I recently had the chance to attend EduTECH in Brisbane as a panelist and speaker on their Workplace Learning track. For those not familiar with this event, it is the largest learning congress in Australia and draws 5000-8000 delegates annually. While most of the participants are in the K-12 and Higher Ed sectors, there is a modest-but-dedicated segment from Workplace Learning and Vocational Training providers and practitioners. From a professional point of view it was a wonderful experience to be part of, and I was truly humbled to have been invited to share some stories with the delegates and to make connections with genuinely inspired practitioners in another part of the world. After 2 days of talks and workshops and conversations I have reached a few conclusions about the state of the discipline of L&D, as well as the nature of conferences. Most notably, the problems we talk about in the North American sphere are present here in Australasia and also in some parts of Europe. These problems include getting support from orgs, trying new ideas, and strategic engagement. I find the implications of these common problems a little alarming. In that respect, at least, I suppose we are in good company. There is a part of me that wonders whether the global reach of some organizations or their management cultures are the root cause of these shared challenges. Even more alarming is the fact that these problems (breaking down/working across silos, sharing, collaboration, L&D’s role in the business, subvert hierarchies) are ones we see frequently in conferences and even across our social/learning networks. We have also been seeing these problems and the proposed solutions for years. To be honest, I have mixed feelings about this conclusion. On one hand, shared problems should lead to shared solutions. On the other hand, the fact that so many of us continue to experience these issues is rather unsettling. For example, the conversation about ensuring L&D is aligned with the business isn’t a new one. Not by any stretch. Misalignment is arguably the most worrisome of the problems/challenges listed above and likely contributes to business’ perceptions of the relative value of L&D to the organization. Also consider that we still have to make the argument to support and sustain social learning practices within organizations. Sure, there’s agreement among our peers acknowledging the need, but what are we actually doing about it? Harold Jarche – in his keynote – continues to share the message about the changing nature of work, how automation of tasks will eliminate roles familiar to us today, and he warns of the increasingly complex environments in which we will find ourselves. I remain unconvinced that we have collectively prepared ourselves for this “brave new world” when we are continually trying to satisfy performance needs with knowledge-based solutions. (Okay, I know, that’s a bit of a blanket indictment but until we can get past living in an IMI 1/IMI 2 world and get past a love of tools that lock us into these kinds of solutions we are going to have a hell of a time moving forward). I appreciate the nature of this event for the way in which they approached the sessions. Unlike most conferences I have attended, there were very few workshops or concurrent sessions. Our stream, at least, was in the same room for the duration of the conference (with the exception of the final plenary keynote). They assign a “chair” to each stream ours was Simon Terry) who handles speaker introductions. More than that, they take the time to weave together some of the stories and themes emerging from the talks. That stands in contrast to the usual scene at conferences with attendees scurrying from room to room where there is little time to weave things together. I like to think that the shared space for the duration of the conference helped to create some connections among the delegates because the attendance was less transient. The speakers abided by the widely-circulated TED principles for their talks. This approach pushes speakers into relating their experience in a story fashion and to think differently than the usual canned presentation. It was also nice that the vendor influence on the talks was very, very minimal. There is nothing more frustrating than to give up your time at a PD event only to have concurrent sessions filled with vendor case studies and talks that are little removed from sales pitches. For me, that kind of thing should reside on the expo floor. There were only 2 sponsor/vendor talks that happened in our stream, but they were mercifully confined to 5 minutes. For what it’s worth, the first of the two was so skilfully done that it did not come across as a vendor talk. While the format may be somewhat passive consumption, I think the format change for the talks and the approach to the event itself more than compensate for any lack of activity. Personally, I would like to see conference organizers take a very hard look at breaking with the status quo. The best part of any conference is the people. I always appreciate the opportunity to meet new colleagues and other people in my Personal Learning Network (PLN). I got to reconnect with Harold as well as with Shannon Tipton in her new guise as a Learning Rebel. The global nature of networks also means that you will wind up meeting local people in far-off places, like fellow Canadians George & Alec Couros. At long last, I met Steve Wheeler from the UK and the influential K-12 blogger and tweeter, Shelly Sanchez Tyrell. Also great to meet Amy Rouse from AT&T U, who isn’t terribly active on Twitter but does some amazing stuff with in-house MOOCs. Of course our hosts were a fantastic crew of Australians. I appreciated the opportunity to meet Ryan Tracey, Joyce Seitzinger, Michelle Ockers, Con Ongarezos, and many, many others. There is a lot of talk about breaking with the status quo and working to improve our influence and reaching within our organizations. The best way those things will happen is from within. Organizations like mine are rare where empowerment and autonomy are core principles. Not everyone is lucky enough to work for a Zappos, or a Virgin Group, or a Northern Lights where these principles are on display. To that end, our own professional development and critical thinking should take on greater importance. It doesn’t matter if it’s a chat, or a MOOC or forming an alliance with trusted practitioners. If you’re talking, you’re sharing. If your listening, you’re learning. …and if you’re learning, you’re on your way to keeping us all relevant and cementing your own role in a new world for L&D. I promised that I would share part of the journey to my talk in Australia in June. I do this because it will help me make more sense of what I am trying to accomplish and it will also let me share the prep that goes into making a TED-style talk; something totally new for me. As a side note, I was very happy to learn that Harold Jarche will also be speaking on the Workplace Learning track, as will Joyce Seitzinger. It will be nice to see Harold again, and I look forward to meeting Joyce.